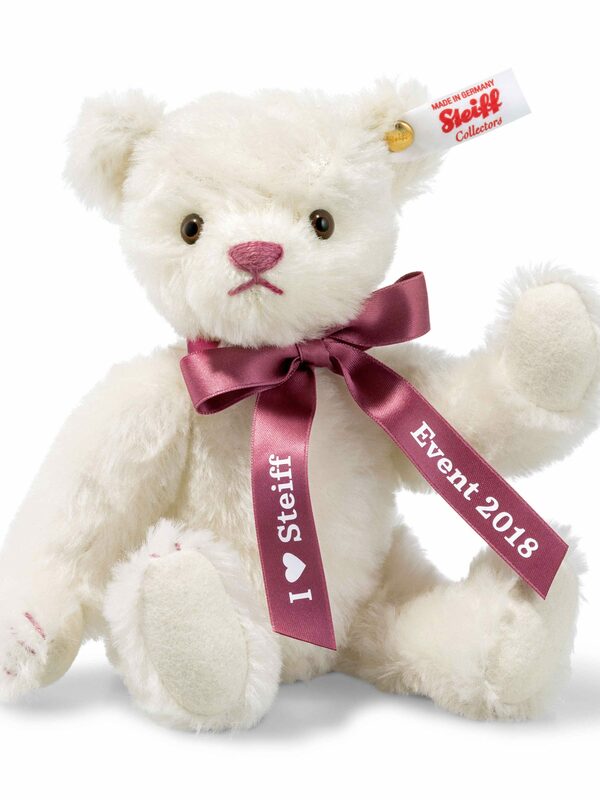 The Steiff Event Teddy Bear for 2018 is made of soft white mohair with felt paw pads and brown and black safety eyes. 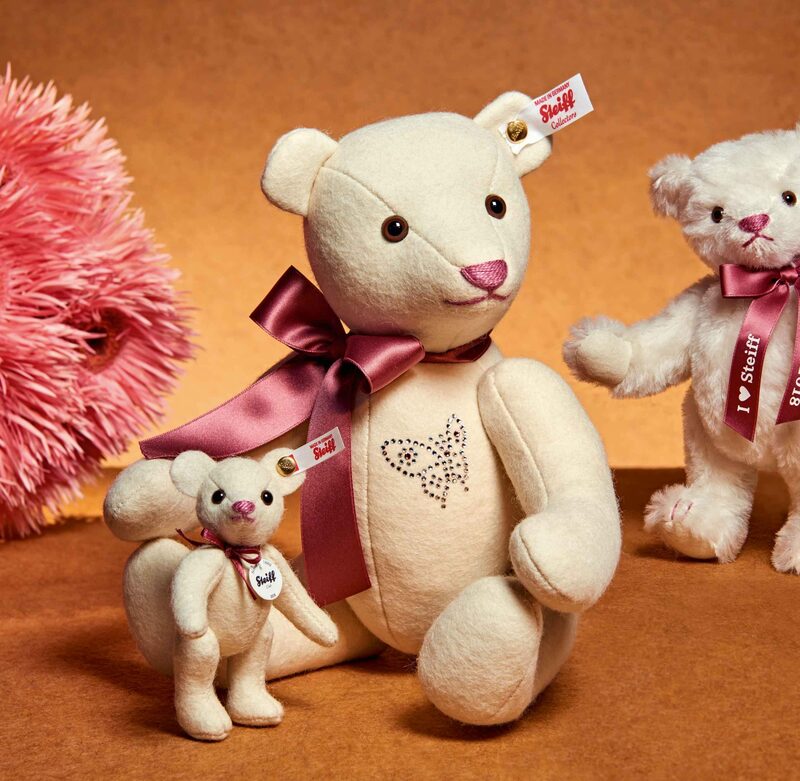 She has a mulberry pink stitched nose and claws to match her satin ribbon bow which is printed with ‘I ♥ Steiff’ and ‘Event 2018’. With certificate. 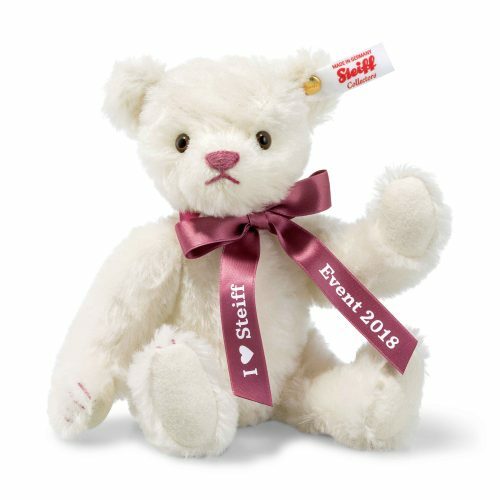 The Steiff Event Teddy Bear is exclusively available from stockists that hold a Steiff Event during 2018.